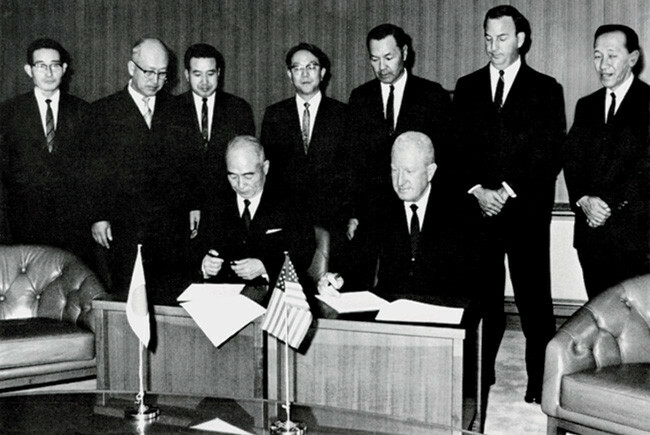 In 1968, Jim Moran and Shotaro Kamiya, president of Toyota Motor Sales, signed the first distributorship agreement creating Southeast Toyota Distributors. 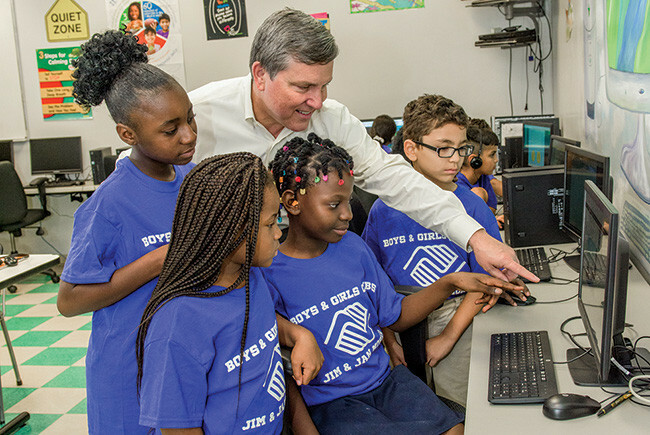 President and CEO Brent Burns has served on the board of the Boys & Girls Clubs of Broward County since 2010. 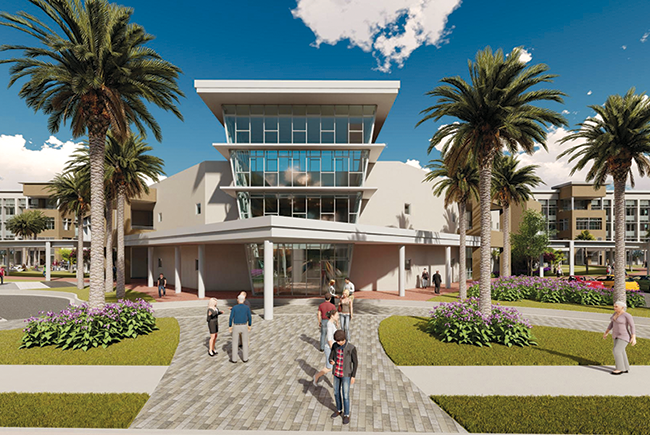 When completed in 2021, JM Family’s $200-million campus in Deerfield Beach will become the blueprint for how 21st Century planning and technology can encourage collaboration and innovation among the next-generation workforce. When Jim Moran first met executives from a little-known import auto maker Toyota in 1968, he already was a highly successful car dealer. Back in his early days in Chicago, he pioneered the use of a brand new advertising medium — television — to become one of the nation’s largest car dealers. 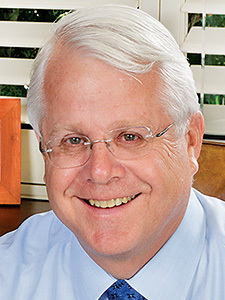 His innovations even had earned Moran a cover of TIME magazine. So when Toyota asked what he would do if they shipped him 10,000 vehicles, he said, “I’ll sell them.” And just like that, Southeast Toyota Distributors — and what would become parent company JM Family Enterprises — was born. Sell them he did. Last year alone, Toyota dealers in the company’s five-state footprint sold 363,910 vehicles, or about one in five cars sold throughout the Southeast. Fifty years since its founding, JM Family Enterprises’ flagship brands — Southeast Toyota Distributors LLC, JM&A Group, Southeast Toyota Finance and JM Lexus — remain industry pioneers. With revenues of $15.1 billion in 2017, the company is South Florida’s second largest private company and No. 20 on Forbes’ list of America’s Largest Private Companies. The company also is South Florida’s largest corporate philanthropist, donating nearly $30 million to nonprofit organizations in 2017. JM Family is a model employer. For 20 consecutive years, the company has been among Fortune’s 100 Best Companies to Work For list. Its 4,200 associates, about half of whom have been with the company 10 years or more, enjoy such amenities as on-site health clinics, generous retirement plan contributions, vehicle discount and paid maternity and paternity leave — including for adoptive parents. Though Jim Moran passed away in 2007, his legacy lives on. Daughter Pat Moran assumed leadership in 2003, followed by current Chairman Colin Brown and now President and CEO Brent Burns. From customers to associates to partners and the community, the company embodies the culture he cast. The three-year project will see seven of 10 existing buildings demolished and replaced by eight new structures. Associates will enjoy a 20,000-square-foot sports complex, a two-story dining hall, a 55,000-square-foot conference and training center and a 900-vehicle parking garage. All will feature the latest in environmental sustainability. Fully walkable and pedestrian friendly, fewer cubicles, more shared spaces and campus-wide Wi-Fi will create a collaborative work environment sought by an evolving workforce and existing talent alike. At JM Family, the company is continually preparing for a great future. Automotive Training Center, founded in 1984 by Jim Moran, it has given more than 700 at-risk young adults a second chance for a brighter future and a shot at a new career. Each year, the company honors those who enrich and inspire others as part of the African- American Achievers awards. And throughout the year, associates build homes, participate in fundraisers and volunteer on charity boards. The organization also funds sustainability initiatives and environmental preservation. Across the company, associates at all levels seek to align business goals with community needs. This commitment empowers associates to cultivate something significant and lasting: stronger families and stronger communities. Jim Moran established The Jim Moran Foundation, a separate 501(c)(3), in 2000 to ensure his philanthropy would endure beyond his lifetime. The Foundation’s mission is to improve the quality of life for the youth and families of Florida through the support of innovative programs and opportunities that meet the ever-changing needs of the community. The Jim Moran Foundation is funded by a cooperative giving agreement with JM Family based on the company’s profits. Established in 1968, Southeast Toyota Distributors today is the world’s largest independent Toyota distributor. The company processes and distributes vehicles, parts and accessories and provides marketing, customer support and fleet sales, transportation and logistics to 177 Toyota dealerships in Alabama, Florida, Georgia, North Carolina and South Carolina. For four decades, JM&A Group has been one of the automotive industry’s largest independent finance and insurance providers. Its four companies serve some 3,700 dealerships with new and used vehicle protection, maintenance and GAP programs, as well as industry regulation and sales training for 6,800 dealership associates each year. JM&A Group products touch about one in nine U.S. vehicles. Founded in 1981 as the first captive finance company in America for an import car manufacturer, Southeast Toyota Finance provides origination, underwriting and servicing of consumer vehicle retail and lease contracts to consumers, dealers and lenders. Southeast Toyota Finance has originated more than 4 million consumer loans and leases totaling more than $89 billion. JM Lexus is the premier dealership to buy or lease a new or Certified Pre-Owned Lexus. Located in Margate, Fla., JM Lexus is the first Lexus Plus dealership in the Southeast. It offers guests a dedicated consultant and negotiation-free pricing in sales, service and parts. It also operates one of the nation’s only Lexus Certified Collision Centers. To learn more about JM Family's history and legacy as an employer of choice and community partner, visit 50yearsoffamily.com.